Arizona Geology: How does North Dakota potash compare to Arizonas? 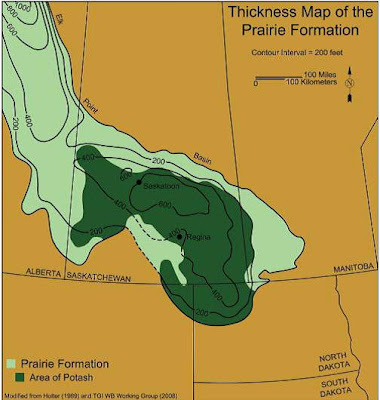 This is the major difference between Passport Potash and the junior exploration companies in Sask and now possibly N. Dakota. DEPTH of deposit. The cost savings are in the billions for mine set up and extraction.The PPI pre-feasability report ,later this year, will certainly show that.